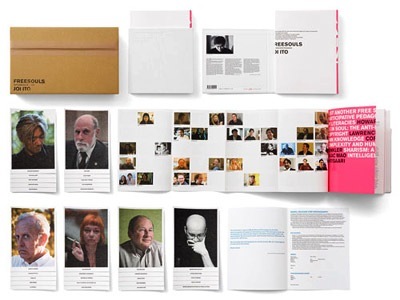 Really love this project by Joi Ito: Freesouls, a book of portraits taken by him. Pictured above is the “Luxury Boxed Set,” but even just the book alone features a really nice design. The first offering is composed of a limited print run of 1024 (50 for the boxed set). You can order it here.